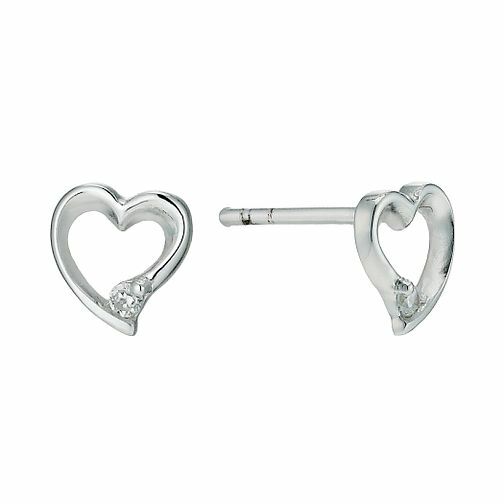 Stunning Silver and Cubic Zirconia Heart earrings. Perfect for day or night. Silver Heart Earrings is rated 4.9 out of 5 by 7. Rated 5 out of 5 by Anonymous from Very cute earrings These are beautiful heart shape earrings. Perfect size and very comfortable. Highly recommended them. Rated 5 out of 5 by Anonymous from Sweet heart shaped earrings Really pretty heart shaped earrings that make a lovely, wearable keepsake gift.